Srinagar, Mar 04 : Former finance minister Syed Mohammad Altaf Bukhari on Monday welcomed laying of foundation stone for Government Degree College at Hyderpora in Amirakadal constituency. Since there was no degree college available from Budgam upto Chadooora area catering to the upper belt of Amirkadal constituency, the former finance minister had proposed a new college at this location keeping in view the hardships faced by the student community. 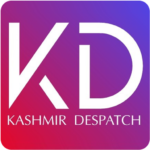 Bukhari who is presently outside the state observed that with the establishment of new degree college at Hyderpora, a long pending demand of the area, has been met after a sustained struggle by his electorate. The government degree college campus with a central location at Hyderpora will have a three-storey building with a 2202.60 Sqm total built up area and will be constructed at an estimated cost of Rs 1736.40 Lacs. 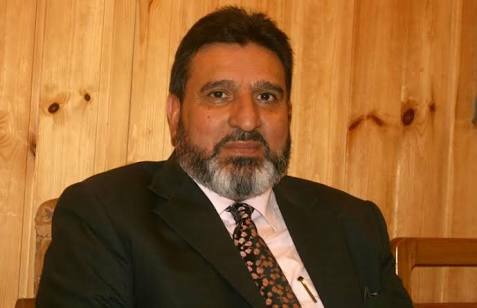 Bukhari hoped that the academic institution to come up at Hyderpora will be a milestone in further strengthening the higher education status of the area adding that he has been assured by the governor administration that the college will be developed with all facilities including outdoor and indoor infrastructure. “Establishing a college at this location was much needed as the students of the area after finishing their secondary school level education had to move to other places for continuing their studies. Keeping in view the huge public demand, I had vigorously pressed and pursued its establishment till the government sanctioned the college at the identified location,” he recalled. The former finance minister thanked the Governor Shri. SP Malik and his advisory council for honoring his commitment made with the people of Amirakadal as their MLA. “We can now say that the justice has been done by governor administration with a vast chunk of population who were earlier deprived of this facility,” he observed, adding that in addition to impart quality education to the students of the area at their doorsteps, this new college will also boost the business in the area. The former finance minister hoped and impressed upon the executing agency to complete the construction of college in a time bound manner so that the admission and classes are started in this college at an earliest.